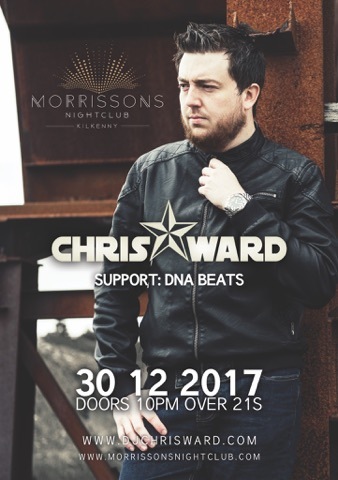 So I’m looking forward to returning to Kilkenny on December 30th as a pre New Years Eve party at Morrissons Nightclub. Oldskool House, Oldskool Trance and Mainroom Electro House are the order of the night. Ash Flynn and Dylan James Connolly are an upcoming duo also knows as D.N.A Beats, and are on support duty on the night, so get down nice and early to catch the lads. Doors open at 10pm, Admission is free all night. Strictly over 21s ID Required.